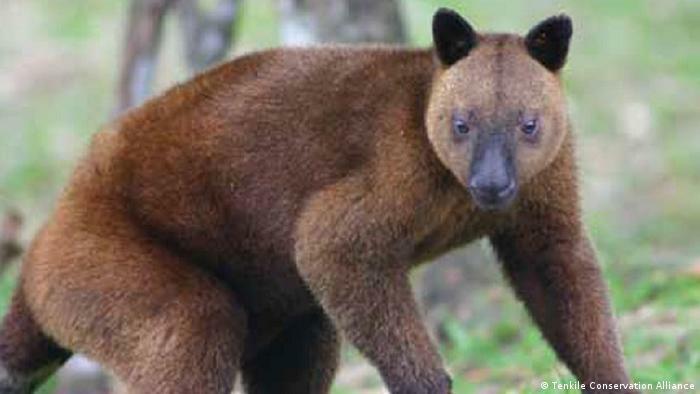 Australian zookeepers Jean and Jim Thomas have spent the past decade working with the people of Papua New Guinea to preserve the Tenkile, an endangered tree kangaroo that was on the verge of extinction when they started. For more than a decade, 42-year-old Jean Thomas and her husband, Jim Thomas, 47, have made their home in the remote mountainous jungles of Papua New Guinea. 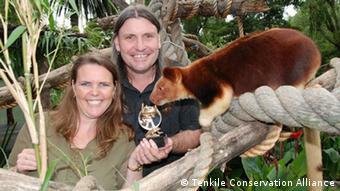 Both trained zookeepers, they left Australia in 2002 to join the Tenkile Conservation Alliance (TCA) - and started their mission to save a little-known species of tree kangaroo, the Tenkile, which was under threat of imminent extinction. "At that stage we knew nothing about Papua New Guinea," Jean Thomas said. "We'd have to climb mountains and try and convince people not to hunt tree kangaroos, which they'd been hunting for thousands of years." 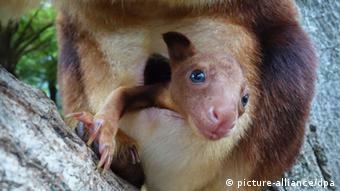 The Tenkile - also known as the Scott's tree kangaroo - is one of 17 species of tree kangaroo found in Papua New Guinea. Only discovered by Western scientists in 1989, it lives in a 125 hectare region in the Torricelli Mountain Range in Papua New Guinea's north-east. Traditionally a prized catch for local hunters, and under pressure from a rising human population, by 2004 Tenkile numbers had dwindled to around 100, making it one of the planet's most critically endangered species. "Our job was to try turn the hunters into animal lovers, to make them care enough to limit their hunting to give those species a chance to start increasing in their numbers again," Jean Thomas told DW in Melbourne. Over a decade on, thanks to TCA, Tenkile numbers have more than doubled and the animal is no longer considered in danger of imminent extinction - though it remains critically endangered. Jean and Jim Thomas have won many awards for their work, including the prestigious Australian Geographic Conservationist of the Year in 2013. Motivated by the plight of the Tenkile tree kangaroo, TCA have spurned the conventional of wisdom captive breeding programs, where animals are simply bred and released into the wild. Instead, TCA works with local communities to tackle the underlying causes of species decline. "Our approach to do that was not really the Australian approach - which would be about making it cute and cuddly in an anthropomorphic kind of way. It was more around looking at the culture, the cultural connection to the environment and to that particular species is what we tapped in to," Jean Thomas said. "We developed songs around the culture and identity of that species," Jean Thomas explained. "We did lots of drama programs; we created a radio and a puppet show as a way of engaging youth and communities with all of their local species and the environment," she told DW. In addition to getting people to build empathy around the species, the practical approach was to provide an alternative protein source, she added. TCA introduced rabbits, chickens and fish as alternative protein sources, and also embarked on an ambitious plan to bring water tanks up to the ridge-top villages. To date, TCA has installed around 250 water tanks and further 250 toilets in the villages in the Torricelli Mountains. Some of the most remarkable footage from the documentary Into the Jungle, directed by Mark Hanlin, shows villagers tramping up muddy paths and through swollen rivers carrying enormous water tanks, bags of cement and corrugated iron on their shoulders. The shared work drew together villagers. 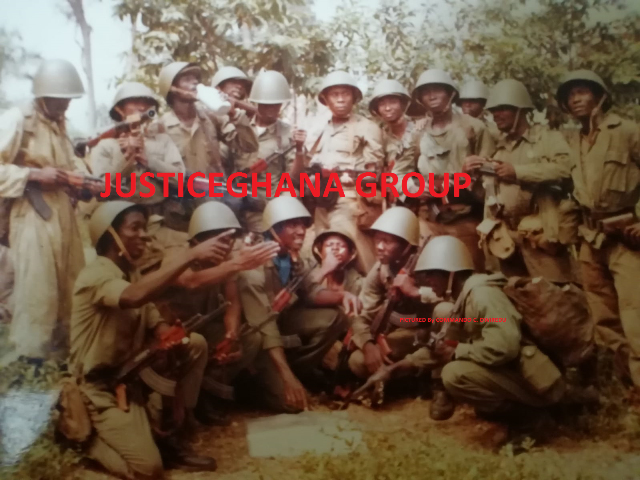 "There were some villages that we working together carrying water tanks for six to eight hours, and these villagers were previously enemies," Jean Thomas said. A dependable clean water supply has reduced water-borne diseases, freed up time and energy for local women who traditionally travelled long distances for water, and enabled TCA to work on improving hygiene. Along with water and sanitation projects, TCA has built a rainforest research center, and is training locals in land management and literacy. Since 2002, the project to save the Tenkile has grown into multi-pronged project across conservation, health, sanitation and education. In his acceptance speech at the 2013 Australian Geographic Conservationist of the Year awards, Jim Thomas explained that TCA's work is likely to expand in the coming years. He said the government of Papua New Guinea would like TCA to expand the program from 50 to 200 villages. "This will hopefully mean that we will be able to protect at least 180,000 hectares of mid-mountain tropical rainforest."